Last weekend I went on a photowalk in Perth, part of the World Wide Photowalk. 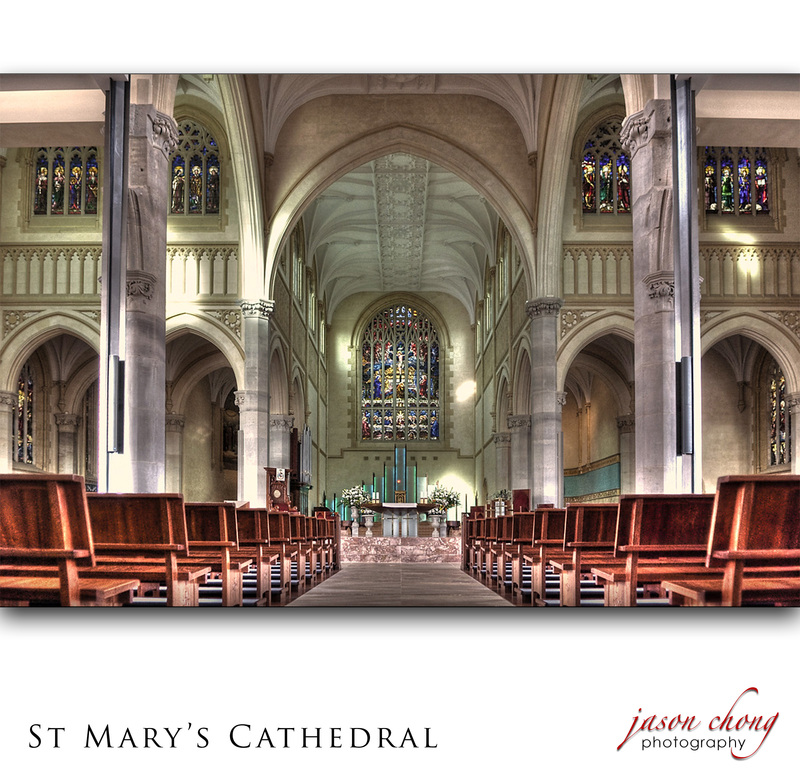 We meandered around the East part of the city and ended up in the recently restored St Mary’s Cathedral. Here’s an image from inside the Cathedral. HDR image from 3 bracketed hand held shots. I was excited when a friend at work organised a sunrise photoshoot this week. 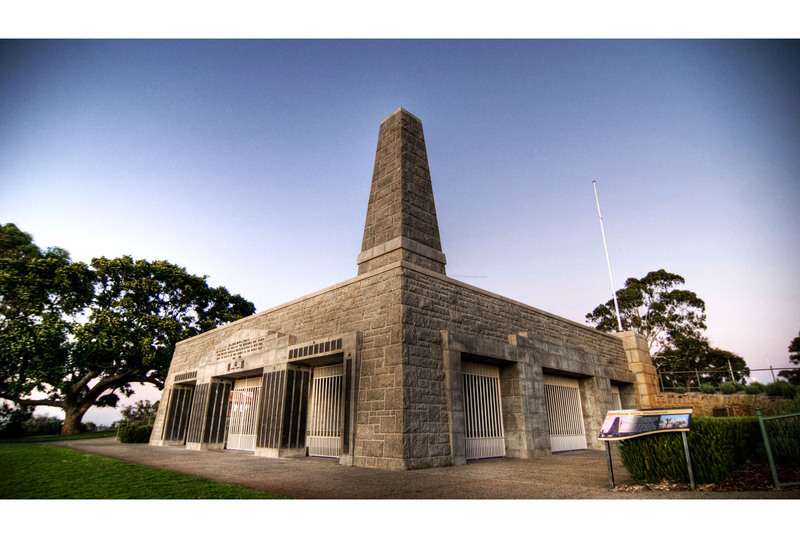 We all met in King’s Park on a chilly morning by the war memorial. This image is from a 4 image stitch at 2 second exposure, and then tone mapped using HDR techniques. It was funny because we spent most of early part of the shoot with our back to the war memorial. But once the early morning twilight light was gone and the sun was nearly risen, the city didn’t have the same atmosphere anymore, so we turned around and shot other things instead. Here is the war memorial (before the flags went up and it was opened). Looked through my one and only sunrise shoot around the Swan Brewery and made this HDR image from 3 bracketed shots. Yes it’s not as sharp as I would have liked (although the link isn’t to the full res image). It’s a crop from a single wide angle shot on a 10 megapixel camera. I think I’m beginning to see the advantages of stitching. Hmmm, looking at it again, it seems a bit crooked still). Our family went down south during the holidays. I was really looking forward to getting away from the city, but also looked forward the possibility of some photo expeditions. Unfortunately, with family duties, that didn’t quite happen. I didn’t even have room to pack the tripod and haven’t bought my ND Grad kit yet, so I was quite limited anyway. One afternoon, I did take a walk and took some hand held bracketed shots, in the hope I could do some HDR post processing. Here is the result! I think I went a bit over the top with the tone mapping, but it’s interesting to see what’s possible. The sky retains its blue (even though I don’t really like the white outline of the trees), the orange sunlight on the top of the tall tree on the left isn’t blown out and I was able to pull more contrast on the pathway. One mistake I did make was to take the shots in P (Program) mode. This meant that the camera didn’t keep a common aperture between shots – it varied from 13 to 10 to 9. I’m guessing that this might result in the depth of field varying between shots. I should have shot in A (Aperture Priority) mode, which will make the bracketed shots vary by shutter speed instead. Now to find more subject matter back in Perth! I finally found some time to play around with the shots I took at sunrise a few weeks ago. These are my first attempts at shooting the Matilda Bay Boat House, and the first time playing around with HDR too! Unfortunately, even though I had a tripod and used it for shooting the Old Swan Brewery, by the time I got to the Boat House, I couldn’t be bothered taking it out of the car, and so had this HDR image is a bit blurry from hand holding. I played around with various tone mappings, but haven’t found one that I’m comfortable with. Also, I’m not quite happy with the composition on this one either. I do have some panorama shots that I’ll stitch together soon. So, in the end, nowhere as good as Kirk Hille’s amazing images, but I do hope to get close one day!! One photography technique that I have really started to dig recently is HDR – high dynamic range images. Basically, it’s a photo that has been processed to portray a large range of brightness (really dynamic range, but I’ll use the term brightness for simplicity). If you look at the environment around you, there are parts that are light/bright, for example, where direct sunlight is hitting objects. And there may be parts of the environment that are quite dark, for example, objects in the shadows. I like to think of all the brightness available as a line, going from dark to bright. Now I know the diagram below is not mathematically correct, but it’s a simple way to think about dynamic range. Film and digital camera sensors (of today, 2008!) currently are unable to capture the detail in extreme bright parts of the environment, and the detail in the extreme dark parts of the environment simultaneously in one photo. If you want to be able to “see” things in the dark areas or shadows, you will probably end up with the bright parts being extremely bright or white and washed out. Alternately, if you want to be able to “see” things in the bright areas in a scene, the objects in the shadows will be all dark. Using the simplified Brightness Line diagram above, I like to think of the camera as being able to capture only a portion of that brightness line. And the “exposure” settings of the camera determining where that region is – whether it’s more on the dark portion, or more on the bright portion of that line. A typical example of an image with this problem is if you take an indoor photo looking through a window. Here you can see the features and detail of my daughter, but nothing through the window. It was too bright. If I had exposed the outside, my daughter would have turned into a silhouette. The are two main sources of the problem. The first is that the digital camera sensor cannot capture such large differences in lighting – that is, it has a small dynamic range (typically 12 bits worth). The second, is that the screens we view pictures on, and the paper we print photos on, also have a small dynamic range (typically 8 bits worth). So why bother with high dynamic ranges? Really, it’s a photographic style that tries to recreate all the details as “seen” by the human eye. Our eyes don’t see a washed out window background in real life. A combination of the eyes ability to adjust “exposure” dynamically through the use of the pupil, the actual sensitivity of our retina and the cleverness of our brain allows us to resolve a much higher dynamic range than currently possible on a camera sensor or display. HDR images are really images with a large dynamic range. This is all good, but our computer screens cannot display a large dynamic range. So what people do now is to process the high dynamic range and convert it into a low dynamic range, but in a way that doesn’t lose detail from the extremely bright and extremely dark areas of the scene. This is known as tone mapping. And as for how HDR images are captured in the first place if there is a limitation due to digital camera sensors? By taking multiple photos of the same scene with multiple exposures. This way, we are moving that fixed region along the brightness line, and taking snapshots along the way. Afterwards, the photos can be “mixed” together and then tone mapped to produce a single photo with detail in both the shadows and highlights. There are heaps of amazing photos on the internet and lots of links to learn more about HDR images. 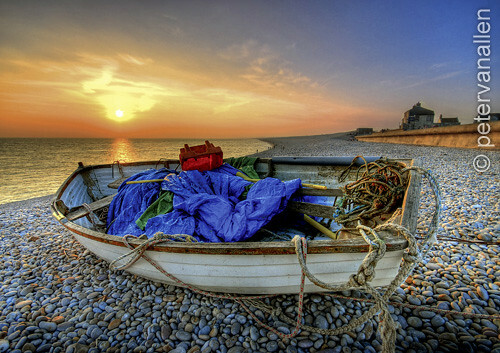 Here is an example of a beautiful capture of a boat by Peter Van Allen, found on flickr. If only a single shot was taken, the boat would most probably be very dark or silhouetted. In the end, HDR is another photographic technique that has really popped up due to digital photo editing software making it easier to combine images. Not everyone likes HDR images and I’ve seen some that are more artistic and stylistic than realistic, but there are some other images that are just awesome. And sometimes, we may really want to blow out the background so that it emphasises the subject in the foreground. In any case, it’s another technique to play around with! See the links below for some other great examples.